energy | What's with the Climate? Elections have just concluded in 5 of the 30 states of India. There has been a record turnout of youth and women voters this election season. In Delhi alone, youth voters turned out in historical numbers pushing the total number of voters to 65% (the maximum before this was 61.8% in 1993). While the allure of new political winds ushered in by the arrival of the Aam Aadmi Party (AAP) (The Common Man’s Party) may have driven some of the enthusiasm in a population beleaguered by poor governance and the false prophets of established political parties, let’s hope that these demographic shifts are here to stay. And why shouldn’t youth be engaged? After all, it is their future that is being whittled away by career politicians who are happy to sell the ecological wealth on which their livelihoods will depend. So why do Indian political parties fail to acknowledge the need for environmental conservation in their campaigns? Article 48(A) of Part IV of the Indian constitution reads: “The State shall endeavour to protect and improve the environment and to safeguard the forests and wildlife of the country.” In no political party’s manifesto is it apparent that the political class has thought clearly about the matter. If we can thank anyone for the protection of any ounce of our nation’s ecological capital (from a legal/governance perspective) it is the Supreme Court which has been cited as the greenest court in the world. Why the empty promises of 30% reduced electricity tariffs which will only further bleed our utilities dry and leave them with no revenue to innovate for the future much less provide reliable access? Why promise 700 liters of free potable water when you have a fetid and dead river that flows through your city (and there’s hardly any ground water left)? Why promise new sewage treatment plants when billions of dollars have been spent on sewage treatment plants already and while we still have over 50% of our untreated sewage making its way to the river? Who needs “Statehood” for what should be the most easily governed unit in the whole Republic of India? You want to set up child-friendly courts for crimes against children? How about one that will ensure that these children have their right to life and livelihood protected by having a firm foundation (environment) in place by the time they grow up? You want a monorail? Did you forget about the ring rail that is hardly used? How about refurbishing that and integrating it with the metro system (and continuing to build the Bus Rapid Transit)? These populous promises mean nothing. Meanwhile Delhi and India at large are headed nowhere, very fast. Think about that the next time you are caught in traffic and choking on the ever-increasing fumes while mantri’s whiz past you in their luxury vehicles. Categories: cities, climate justice, corruption, development, energy, environmental justice, industry, politics, Youth in Action | Tags: Aam Aadmi Party, AAP, Bharatiya Janata Party, BJP, BRT, Congress, corruption, Delhi, Delhi Metro, development, elections, energy, environment, India, Indian National Congress, justice, politics, transportation, water | Permalink. Vision of young people is simple – we want to enjoy a stable climate that our parents grandparents have enjoyed, one without hundreds and thousands of refugees, resource scarcity, and natural disasters. The IPCC has stated that to give us a 50% chance of preventing two degrees warming we will require global emissions to be stabilized at 450ppm. Now, even venture capitalists would agree that 50% chance of return isn’t a worthwhile investment. Imagine the loss of this investment resulting in the destruction of our planet. My vision for the long term is that India makes to the 350ppm target, which gives us a strong chance at preventing runaway climate change. Clean technology will need a very strong presence to make this vision reality. My vision of the next 12 months, which will progress beyond that, is somewhat Gandhi-an. The Indian attitude to climate change is changing and it is going to heavily impact the cleantech market. What we’re seeing now, with the Indian Youth Climate Network (IYCN) as a great example is that people have an increasing awareness of climate change in both the urban and rural communities of India. Climate change more than anything is an issue of humanity. When it comes to times of crisis humans often band together. India’s fight for independence is an epic example. Climate change is bringing the global community, and will bring India together. It was not luck that allowed IYCN to expand from 3 to over 300 individual members, harbour more than 10 member groups and have the reach to over 205,000 young Indians nation wide. It is not luck that has allowed IYCN to achieve the support of globally rooted organisations such as Infosys, Greenpeace, Reva, WWF and media houses such as NDTV, times of India, the Hindustan times and the Hindu within 4 months of its inception. Every Indian I’ve met has hope that India will become a developed nation, will not have millions of people die each year from malnutrition disease, and natural catastrophes. We’re working so hard to build our economy, aiming for superpower status, and becoming a leader in the world in many areas, it seems somewhat ludicrous if India doesn’t take far stronger action on climate change, because if it doesn’t, the malnutrition, disease and natural catastrophes are only going to get worse. Hence I feel, like in our fight for independence, the youth & people of India will unite and take action for solutions. I have 4 big visions. Firstly, an increase in consumer demand for retail & bulk energy from cleantech, Secondly, innovative cleantech transport solutions, thirdly, strong growth in rural clean tech projects, and finally, clean tech being the next IT. Categories: global warming | Tags: clean technology, climate change, energy, future, India, IT, rural, transport, vision, youth | Permalink. The time has come to worship the black rocks beneath our soil. India needs approximately 160,000 megawatts of electricity in the coming decade to be able to sustain its phenomenal growth rate. Conveniently enough, we have one of the largest coal reserves in the world. Unfortunately Indian coal is not of good quality as it has a high ash content. 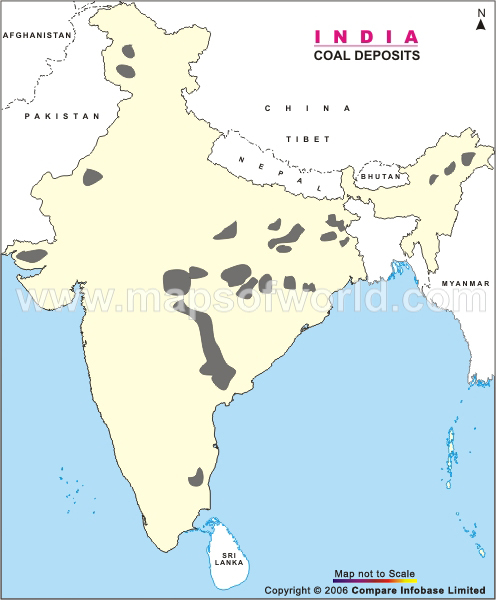 Much of our coal fields are also under developed (perhaps we should be thankful for this as these resources lie beneath our dwindling forests and tiger habitats) which makes us import from places like South Africa and Australia. That aside we know that coal will continue to play a major role in India’s economic growth and development for the coming decades. And as the government tries to rapidly electrify the entire nation by 2012 (as currently 500 million people are without access to electricity in rural areas) the need for power supply expansion is obvious. Add to that the fact that every urban center experiences power outages affecting business and agriculture both it is not surprising that we are seeing the approval of finances for Tata’s 4,000 Megawatt “Ultra Mega” Power Project at Mundra port in Gujarat. Will the electricity really reach the rural poor? Will the poor even be able to afford electricity at time when we are seeing a restructuring of the power system to reduce transmission and distribution costs (which have been as high as 50% in many places and only now begun to come down in states like Rajasthan and a few others)? It is said that super critical technology is being implemented in the construction of this power plant (the first of which will be operational by 2011 and the other units plugging into the grid in installments of every 4 months). 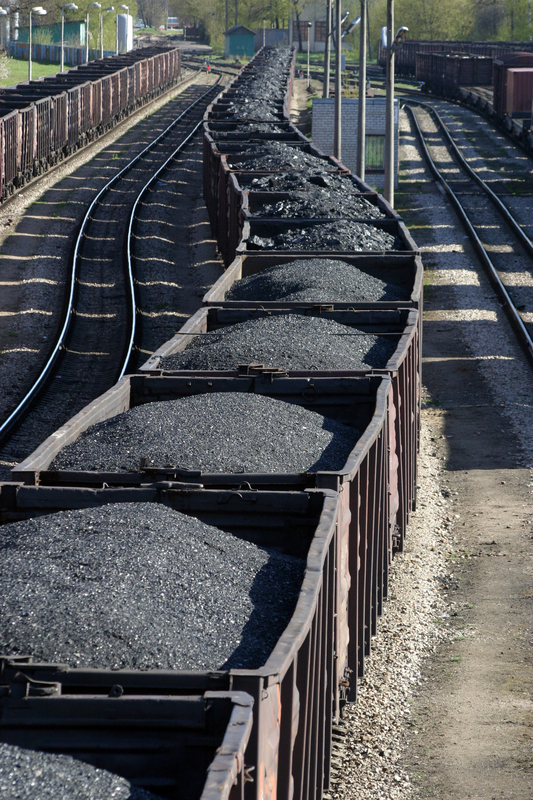 This will make the coal power plants 40% more energy efficient at turning the black mineral into energy than the average power plant in India is currently able to manage. Also, it has already been estimated that the plant will emit 23 million tonnes of carbon dioxide annually. The IEA stated at a side event in Bali last December highlighting the importance of China and India in the emerging energy scenario that for serious cut backs on global green house gas emissions, by 2012 we could no longer build any more thermal power plants that emit any CO2. Everything from that point on would need to be zero-emission and from there on a gradual reduction in emission from overall power generation as the global economy transitioned into renewables. But does this leave enough time and space for rapidly emerging economies (not to mention the least developed countries LDCs) to get cheap energy to grow and bring millions out of poverty? Who will finance zero emission coal plants or the transition into a completely zero-carbon growth path? Categories: climate change, coal, energy | Tags: climate change, climate justice, coal, energy, India | Permalink. Climate Change Mitigation – an equitable solution? A few weeks back, I was at attending a symposium on climate change, sustainability and equity in Hyderabad, organized by reputed institutions, and attended by prominent figures in academia and civil society. The symposium was informative and lively, consisting of numerous presentations on subjects ranging from climate change and gender to the future of ‘the protocol’. One topic that captured my attention was the issue of equity, and how climate change was creating inequity not only through its far reaching impacts, but also how even mitigation efforts were turning out to be an inequitable undertaking for the majority of the worlds’ population. It is clear that the 36 Annex 1 countries of the UNFCCC, with their energy intensive lifestyles and their relentless but inequitable pursuit of progress have been responsible for the vast majority of emissions. Through this indiscriminate and inconsiderate pathway of development, they have created and reinforced inequity time and again. Developing countries now have a very small window of opportunity for following this unsustainable but demonstrated development pathway before we reach the crucial tipping point of 550 ppmv of CO2 equivalent, following which the magnitude and frequency of impacts would far outweigh opportunities for development. Meanwhile, wealthy Annex 1 countries are perpetrating further injustices on the poor of the world, and are arm-wringing India into submission and into committing to binding emissions reductions. Is this equity? Climate change will undoubtedly increase socio economic imbalances in society. 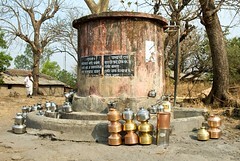 Poorer segments of the population, especially those dependent on natural resource management such as farmers, livestock herders, fisher folk and other marginal communities would be most affected by the adverse impacts of climate change, while they themselves would have contributed very little to emissions. Even within a country like India, climate change is gradually revealing how inequitable the future will be. The section of the population which can afford air travel will also be the segment of the population which has an energy lifestyle comparable to the west, and is therefore most responsible for climate change. Paradoxically, they are also the section which will be least impacted by climate change. Poorer people who can’t afford energy intensive lifestyles instead will have to face the brunt of climate change, and will be forced to adapt or perish. Is it equitable to ask these segments of the population to alter their lifestyles, which are already low carbon intensive, while they are going to suffer greatly because of no fault of theirs? It is crucial in future to maintain equity in society, and to protect those communities that are least equipped to adaptation to the impacts. Creating livelihood opportunities for vulnerable segments of the population who have been impacted, displaced and traumatized, and helping them during this period, would go a long way in preserving equitable development in our society. Categories: climate change, climate justice | Tags: carbon, civil society, climate change, energy, equity, inequity, society | Permalink.